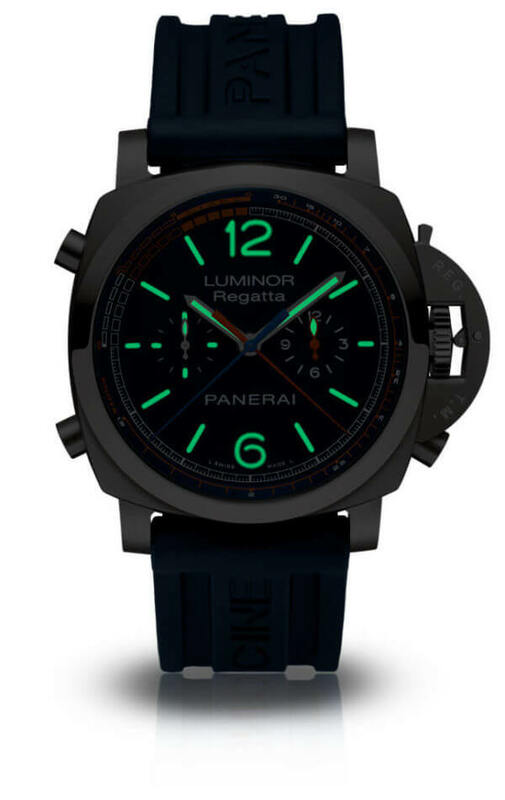 In preparation for the Panerai Transat Classique 2019 yacht race, Panerai has released a 150-piece limited edition of its Luminor Regatta flyback chrono with a countdown function. 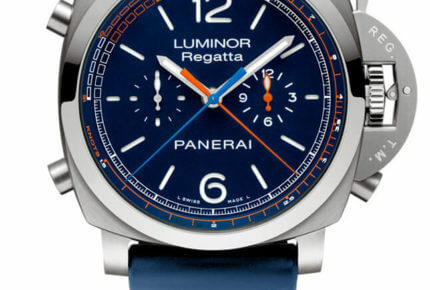 Panerai presents the Luminor Regatta Transat Classique, a remarkable new watch for wearing at sea, created in only 150 examples in honor the most thrilling international regatta for classic yachts: the Panerai Transat Classique 2019. The challenge is an epic one: in January 2019 a fleet of classic yachts will set sail from Lanzarote and cross the Atlantic Ocean, heading for their destination, St Kitts in the Caribbean Sea. The crews will face the 3,000 nautical miles of this route – which is engraved on the back of the watch together with the logo of the race – relying only on their skill, their courage and the timbers of their magnificent yachts. Also taking part in the race will be Panerai’s 1936 Bermudan ketch, Eilean, tackling the 38th transatlantic crossing of her career. The watch has an overall blue look, that being the color of the dial and the rubber strap, set off by the solid brushed titanium case and its polished bezel. The new Luminor Regatta Transat Classique is a chronograph designed for everyone who loves the sea. It is fitted with the race countdown function, which enables the minutes and seconds preceding the start of a race to be measured. The remarkable simplicity of using the function is a tribute to the excellent innovative technology incorporated in the P.9100/R automatic chronograph calibre: the push-piece at 4 o’clock stops the orange chronograph minute hand at the desired moment in relation to the length of the countdown. When the chronograph is started, the relative hands begin to move, indicating first the minutes and seconds remaining until the start and, once the countdown is completed, the time elapsed since the start of the race. 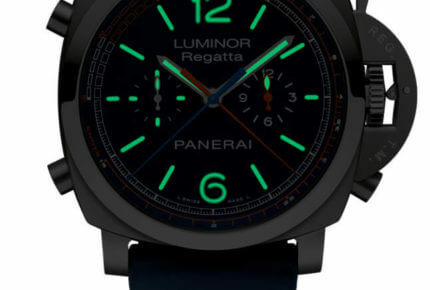 Other functions and features enhance this precision instrument, making it the perfect companion for life at sea: the classic Panerai device protecting the winding crown, which helps to ensure the watch’s water-resistance to 10 bar (a depth of about 100 metres); the flyback chronograph with two counters, for measuring two partial times in quick succession; the tachymeter scale in knots on the flange, for calculating the speed of the boat; the power reserve of three days, ideal for covering the requirements of a long weekend at sea; and the device for zeroing the seconds hand to achieve perfect synchronization.